Being able to race other people while soaring in the sky seems fun, but is it a sport? 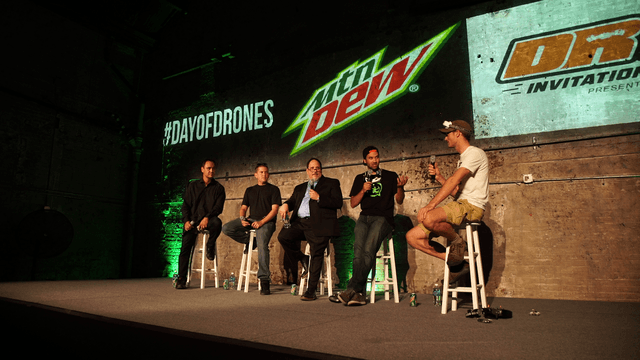 Digital Trends attended Mountain Dew and DR1 Racing’s Day of Drones event at the warehouse turned art studio, The 1896 earlier this month to get a look into the increasingly popular and legally vague world of drone racing to find out if it has a future or if it’s just a fantasy. 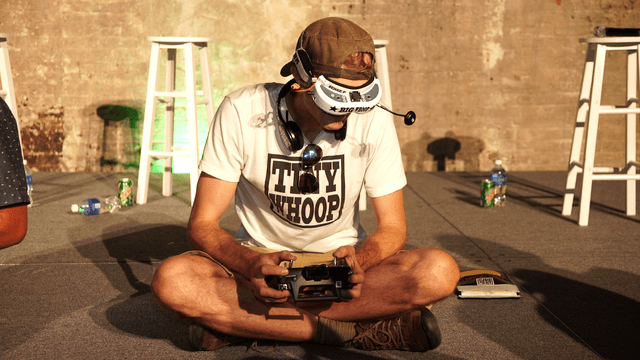 At the event, three drone racers from drone racing Team Big Whoop competed against each other with Tiny Whoop drones, a brand of miniature drones created by one of the racers, Jesse Perkins. 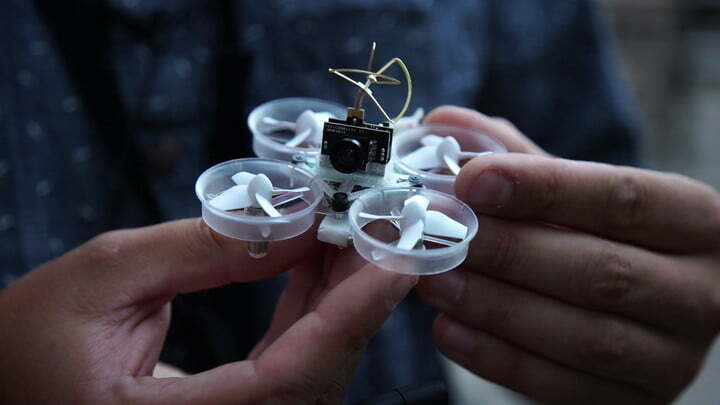 Those mini drones were hard to keep an eye on as they zipped around guests and performers in the dimly lit warehouse, so the first-person view from the drone cameras was projected on the exposed brick walls behind the stage, helping spectators follow the action. The crowd alternated between watching the projected video and trying to spot the drones whenever they passed by. This hobby is fast on its way to becoming a sport. The first-person view from the drone cameras helped heighten to enjoyment, but that was the only convenient way to keep an eye on the race. The race at Day of Drones was also as quick as a horse race, taking up roughly 10 minutes of the three hour event. Because the drones did not have a visible course path, many gave up on watching the video projection and went back to enjoying their drinks, occasionally reengaging with the race whenever one of the quadcopters flew by. Day of Drones had the general framework of a drone race, but may not be a fair representation of the burgeoning sport. A few days after Day of Drones, The second annual National Drone Racing Championships (NDRC) were held on Governors Island in New York City from August 5 – 7. At NDRC, 150 pilots — those that qualified from a pool of 1,400 — raced [small drones] on a clear course path involving those drones going through colorful hoops. The vast space and unobstructed viewing that Governor’s Island gives was vastly different than the race we saw. Zachry Thayer, a drone pilot from the same Team Big Whoop at Day of Drones, won the race and the $50,000 cash prize. “Here we have a sport that nerds can now play,” said Chris Thomas, founder of MultiGP Drone Racing League, in an interview with Digital Trends. Team Big Whoop drone racer Jordan Temkin was not as enthusiastic and explained the biggest barrier preventing drone racing from becoming an actual sport is money. He claimed to “only know about two out of the hundreds of thousands of [drone] pilots that get paid,” during a panel discussion at the event. “Right now, because there is no income for most people, you can’t dedicate your life to becoming the best at whatever that sport is,” Temkin said before mentioning how other professional sports athletes are paid to work to be the best. This is a growing sentiment in the world of drone racing. At NDRC, Dr. Scot Refsland, the co-founder and chairman of the Drone Sports Association (DSA) told ESPN that drone racing is “not in an environment where we can support a pro racing system right now, so there are no professionals. beginning stages of the sport.” According to Refsland, all of DSA races will be professional by January. 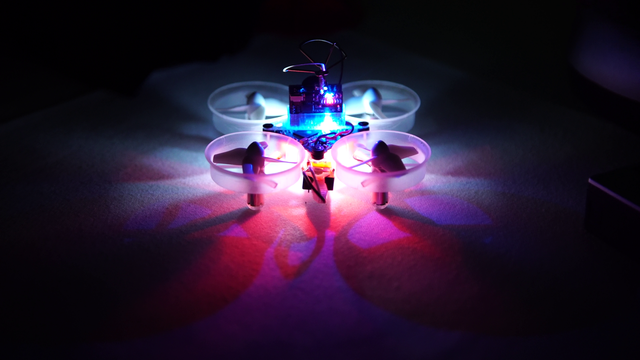 Under the Federal Aviation Administration’s regulations, drone racing is classified as a recreational use of unmanned aerial system (UAS), since most drone racing competitions do not involve in any monetary compensation. Under that distinction, anyone 13 years of age or older who wishes to fly a drone just needs to adhere to safety measures, but no certificate is needed. Once people start getting paid for racing drones, the recreation becomes commercial, requiring drone racers to pass an aeronautics test every 24 months for a certificate and undergo a background check by the Transportation Security Administration (TAA). These stipulations may deter casual drone users from racing, but could also help cultivate a consortium of dedicated drone racers who have dedicated their lives to flying glorified toys. 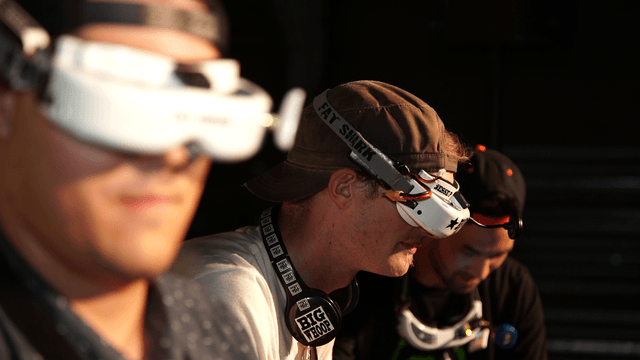 The drone racing at Day of Drones was a bare bones look into a fast paced sport still being fleshed out. With a 15 year old winning $250,000 at the first ever World Drone Prix in Dubai in March, this hobby is fast on its way to becoming a sport. Check out our video recap of the event let me know how my drone racing skills are.